Travel Destinations Lembang Floating Market. 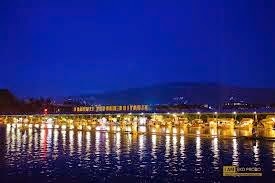 Bandung is a City of tourist that is very worth to visit, there’s a lot of tourist attractions in Bandung, Floating Market Lembang be the only one floating Market in Bandung, Opened in December 2012, with the concept of culinary and nature, quite attract tourists. Lies in Lembang area where the place supports the concept of the countryside. 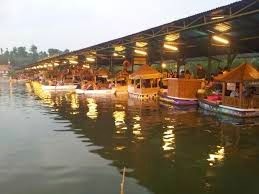 You will see a Floating Market Lembang similar with the floating market in Kalimantan. The differences are floating market in Lembang Bandung is not selling vegetables, fruits, or a basic need like that exist in Borneo. Floating market in Lembang provides a wide variety of snacks and typical Sundanese snacks of West Java. In this place, you will feel the sensation of a culinary tour different from the usual. generally, there are 46 boats on the lake shore making it easier for visitors to buy what they want. Situ Umar (Umar Lake) scenery and Tangkuban Perahu Mountain from afar add beauty portrait at the Floating Market Bandung. 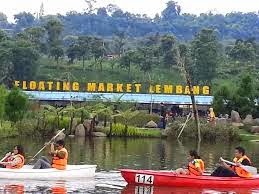 Floating market Lembang increasingly booming popularity making it as a tourist destination in 2015. Natural scenery and unique in Bandung Floating Market is indeed too good to be ignored. Moreover, the trip to Floating Market is in line with the Tangkuban Mountain area so if you want to go to Tangkuban Perahu would not hurt to stop in Floating market first, who wants to miss a cheap tour with eye-pleasing scenery and variety of culinary that make our stomachs satisfied. Enjoying a holiday at the Floating Market Bandung with your family to relax and play. Encourage children to learn more about animals such as geese take them to the park and rabbit garden. Treating rare rural longing in big cities we can come to the Leuit village. We can enjoy a typical house in West Java with a roof of palm and green rice scenery, you can catch eels too. Looking at the largest miniature railway in Indonesia of course fun. We can also play a flying fox or ATV. If you want to enjoy the view of Situ umar (Umar Lakes) we can rent a canoe or duck boat to visit the floating market at the center of the lake, we just rented a boat for IDR 10,000. 15,000 per person for admission. Then, for those of you who bring your four wheel drive vehicles are required to pay IDR 5.000 for parking fees. The ticket you buy can redeem with soft drinks later, Soft drinks are available here such as coffee, lemon, hot chocolate, and so forth. exchange tickets with this drink you can do in the lobby. Well, still in the lobby area, there is a table of information at the same time be a place of redemption with Coins which this will then be used as a means of payment at this floating market. after passing through the lobby, you are immediately greeted with a beautiful view of the lake around which provided a table and chairs for a place to relax and enjoy the scenery while taking pictures. Bandung is indeed very suitable as a family vacation spot. One thing that should not be forgotten in the Floating Market Bandung is culinary. there mendoan tempe or tofu dent. There are also surabi (Sundanese Pancake), mini martabak (kind of pancake), baked glutinous and baked durian. Enjoy snacks Sundanese typical , with additional Chicken claw soup (seblak) certainly very tasty. If you want a spicy sweet and fresh stuff, just choose a spicy fruit salad (rujak) or Tahu gejrot (Spicy Tofu). If the stomach is not satisfied with the snacks, we can enjoy heavy foods such as grilled or fried fish, soup, satay, various noodle and Sayur asam (sour vegetable soup). If you want modern food just come to rock pool area where we can enjoy steaks, pastas and pizzas. 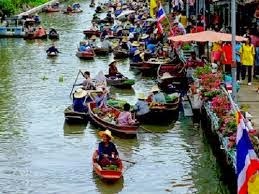 the Floating Market Lembang Bandung very perfect spot, Naturally is increasingly crowded and demand by tourists in the 2015’s. Awesome issues here. I’m very happy to see your article. Thanks so much and I’m having a look ahead to contact you. Will you kindly drop me a mail? It’s an amazing piece of writing designed for all the web users; they will obtain advantage from it I am sure. I’m more than happy to find this web site. I want to to thank you for ones time for this wonderful read!! I definitely enjoyed every part of it and i also have you bookmarked to look at new things in your web site.